Once recommended to me by a good friend, this retelling of the biblical story of Hosea is my choice to you! Such a true gem, the power of love permeates throughout the story, with undertones of forgiveness, finding oneself, and the wrongs of judging others. Historical and emotional as well, it keeps you reading and refreshes the soul.... What an amazing Mother's Day gift this would be! Or treat yourself to one of the best books I've put in my own personal library! Francine Rivers is one of America's favorite romance writers and a bestselling inspirational author. Her many heartfelt novels have won awards and the adoration of fans accross the country. 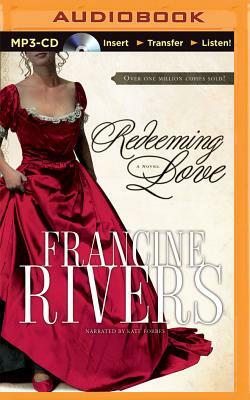 In Redeeming Love, she retells the Biblical story of Hosea, setting it in the 1850s amidst California's gold country.